Chances are you already know all about the importance of eating and shopping locally. Maybe you've even witnessed firsthand how a neighborhood business has benefited your community over the years. Or maybe there's a new small venture in town that you'd like to see succeed for years to come. Either way, there are plenty of local Chicago businesses -- from bakeries feeding the homeless to conscientious flower shop startups to institutional bookstore co-ops to music venues facing eviction to independently run movie theaters from the Great Depression -- that could all use our support this year. 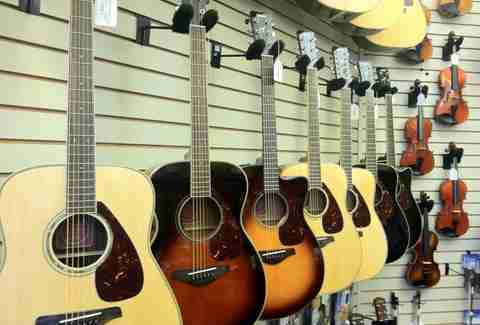 Here are some of our favorites worth checking out and maybe even spending some cash at. Block out the world at this classic movie house, which opened in 1929 just before the Great Depression hit. 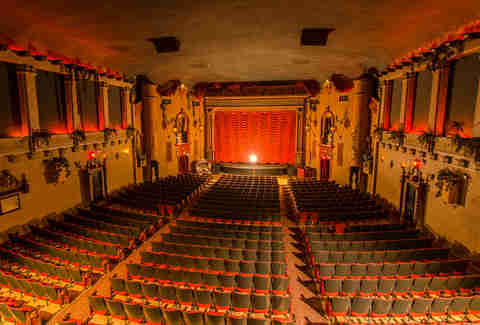 While it was soon considered a kid brother to the gargantuan movie palaces Downtown, the venue retained its sterling reputation for projecting quality independent, foreign, cult, and classic films, and for giving back to its community. Each year, the theater hosts over 200 special events, many held by non-profit organizations, and donates tickets and other benefits for auctions by local organizations and schools. Ticket prices may have risen over the years, but at least they still use real butter on the popcorn. 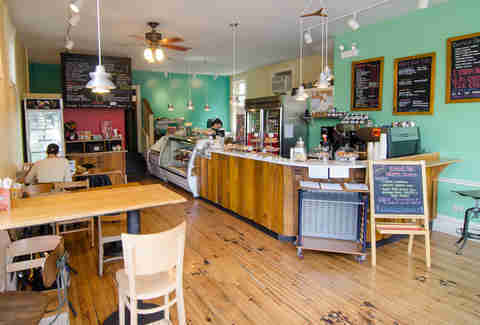 Joining this charitable café's unique meal-sharing program guarantees you'll take home three solid meals like lemon pepper Amish chicken with roasted potatoes and mango chamoy pie off a rotating menu each week. In exchange, you'll be funding their outreach program, which serves 600+ home-cooked meals per week to those in need through various local churches, schools, youth groups, and community centers. "Eat better, stress less, and share the bounty," indeed. Honorable mentions: North Center's Blue Sky Bakery & Cafe and Hyde Park's Justice of the Pies are baking up good things in their respective 'hoods too. Giving back to the community is a year-round endeavor for this online flower-delivery startup, which has been selling and delivering locally crafted, modern bouquets since 2012. Flowers for Dreams offers six bouquet styles with prices starting at $35, and delivery is free within city limits. Every bouquet sold benefits a local charity; staff choose 12 charities every year, with donations going to one each month. For example, they've donated to The Night Ministry, NAMI Chicago, and RefugeeOne, and even partnered up with the organization to provide job training and welcome bouquets for recently arrived Syrian immigrants. The charity aspect is key for customers: It’s a reinvestment in Chicago. 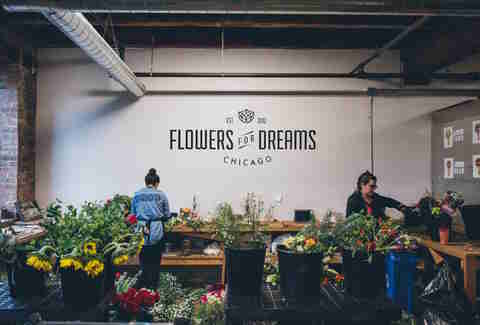 From humble beginnings as an alley market to an impressive multi-market operation, this non-profit has kept its vision of connecting Chicagoans to local farmers, producers, and restaurateurs. Its thriving farmers markets showcase an abundance of organic produce alongside lively celebrity chef demonstrations and educational programs, making Lincoln Park's twice-weekly seasonal outdoor and Chicago's only year-round indoor, sustainable market a cherished city resource. The West Loop offshoot also draws dozens of quality vendors on Saturdays. Not many barbecue joints double as communal spaces for a thought-provoking speaker series devoted to life, politics, and the state of the world. This kosher barbecue restaurant's commitment extends beyond the cRc supervised meats smoked on-site; it not only nourishes the body and mind, but 100% of all profits are also donated monthly to various community causes like a food pantry, local elementary school, or homeless shelter for women. That pulled BBQ chicken sandwich definitely comes with a hearty side of do-good. 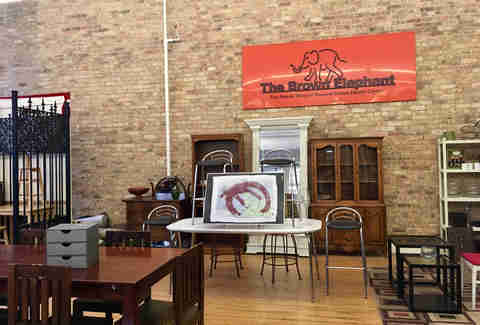 The Brown Elephant's sprawling resale shops are packed with all sorts of donated vintage clothing, furniture, artwork, and other odds and ends. Your purchases help support the mission of Howard Brown Health Center, one of the nation’s largest LGBTQ organizations committed to eliminating the disparities in health care through research, education, and services that promote health and wellness in the community. 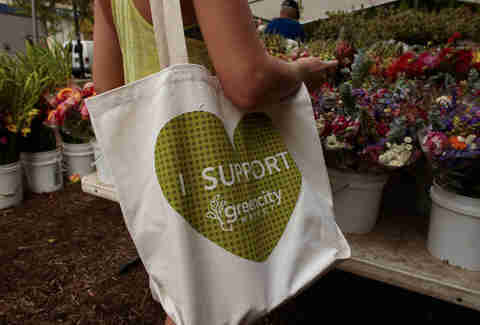 So your shopping can make a positive impact. Pack rats can also drop off donations at the store. As proud makers of the first completely Chicago-made bike since Schwinn production left the city in the ’70s, this bike shop/coffeehouse hybrid is dedicated to eco-friendly transportation and local manufacturing. 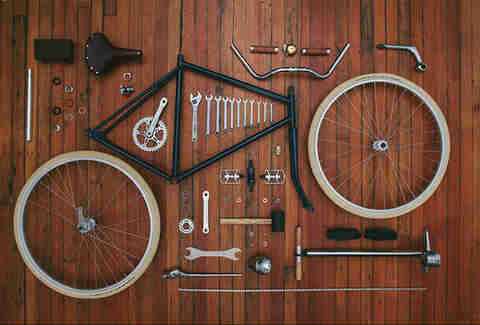 They design and build custom-made commuter bikes (they even host BYOB build-a-bike workshops), and sell Chicago- or at least American-made bike accessories and other goods like jewelry crafted out of recycled bike parts. And if you're in the market for Wi-Fi, coffee, and treats from local kitchens like West Town Bakery while your flat is getting fixed, this would be a prime spot for that too. Salvage shops are prime hunting grounds for designers, collectors, home renovators, and decorators, but this retail warehouse is not quite like the rest of them. 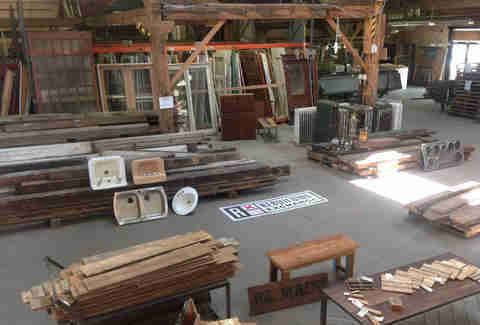 The storefront for a non-profit social enterprise is on a mission to repurpose and sell quality reclaimed building materials to promote sustainable deconstruction practices, host community education programs and hands-on public workshops, provide job training opportunities for people with employment barriers, and create innovative models for sustainable reuse by donating items to partner organizations to help rebuild their own communities. Erik Nance, the owner of Litehouse Whole Food Grill and Mikkey's Retro Grill, isn't just dishing up healthy meals in Hyde Park. Both of his restaurants give back to the community through mentorships and employment for South Siders, many of whom are at-risk youth or were formerly homeless or struggled with addiction issues. Ordering customers can "go premium," which adds $2.50 to their bills to help pay for about 20-30 free meals to less fortunate in-house diners daily. 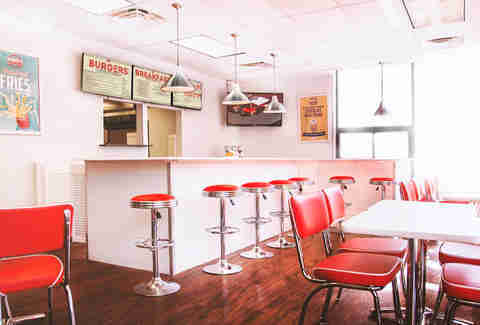 Mott St's acclaimed burger (recently ranked No. 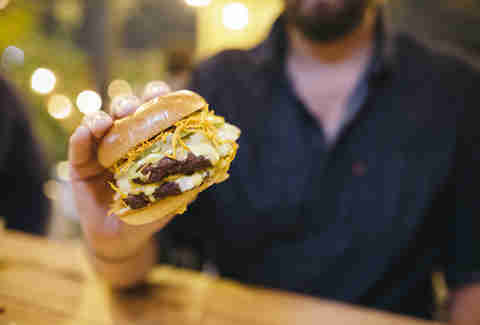 1 in Chicago by our national burger critic) and inventive, seasonal prix-fixe fare from sister restaurant Ruxbin are more than just comfort food. Chef and co-owner, Edward Kim, and business partners -- wife, Jenny Kim, and sister, Vicki Kim -- collaborate with local mentoring program GRIP Outreach for Youth. The partnership has involved one-on-one restaurant mentoring and employment for nearby Wells Community Academy High School students who want to give culinary life a shot. Students have even grown microgreens in classroom windows for the restaurants to purchase. 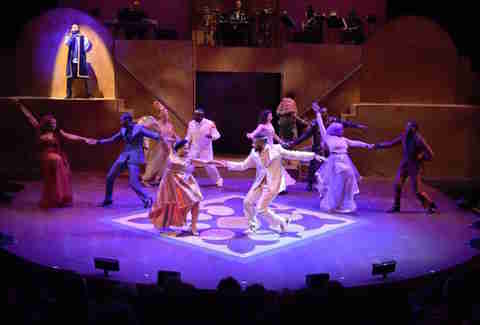 Since its founding as a small community arts organization by actress, producer, and playwright Jackie Taylor in 1976, the Black Ensemble Theater has evolved into an innovative, internationally renowned institution in the African-American and mainstream arts. As the only theater in the nation with a specific mission to eradicate racism, its vibrant productions and educational outreach programs, with a focus on underserved communities, have helped bring people together to embrace similarities and foster more effective dialogue, understanding, and acceptance. 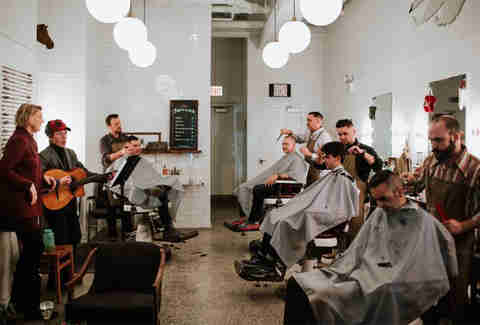 A relative newcomer to the Wilson Ave business district, this neighborhood barbershop is bringing back the human connection through traditional grooming and genuine conversation thanks to a comfortable atmosphere, collaborative events with local artists and musicians, and partnerships with other small businesses. Established as part of the #FLATSproject initiative, former furniture designer-turned-barber Michael Stejskal deemed it "The Public Barber" because he wanted the shop to be inclusive to everyone, regardless of sexual orientation or other personal factors. For $25, customers can score a haircut, hot towel service, a free neck shave, and a shot of bourbon, if they so choose. 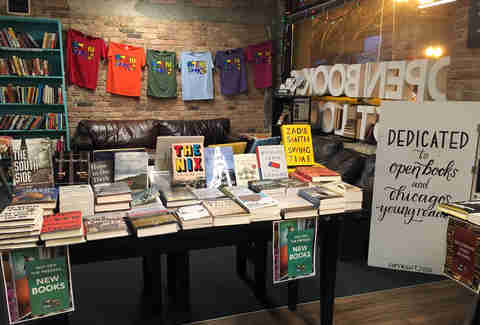 All proceeds from Open Books' volunteer-run stores in the West Loop and Pilsen help fund literacy and book grant programs for children and teens throughout Chicago, so you can feel good about every purchase. Rows of colorful shelves are jam-packed with mostly used books that've been donated to the non-profit social venture, and there are plenty of reading nooks for children and adults to browse an array of titles by the handful. School outreach efforts pair students with volunteer "Reading Buddies" who can help them learn to read and discover the thrill of a good book, and in-house creative writing and publishing programs draw students to the West Loop store to uncover the power of their own words. Honorable mention: The Wicker Park Secret Agent Supply Co. sells books with proceeds going to 826CHI, a non-profit writing and tutoring center for local students. In 1961, 17 book lovers each kicked in $10 to start the Seminary Co-op, now a community-owned bookstore beholden to some 53,000+ shareholders, including Susan Sontag, Harold Washington, and Barack and Michelle Obama. Until 2012, one of the largest academic book collections in the world lived in a labyrinth of basement spaces, but it's since moved above ground. 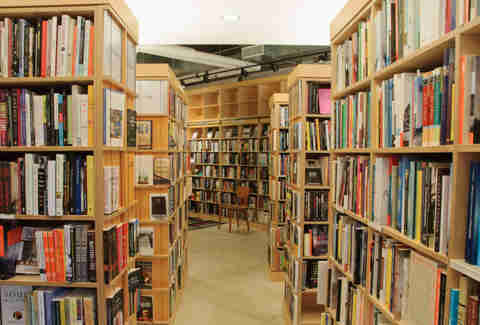 The co-op's less scholarly sister store, 57th Street Books, has amassed a loyal following since the '80s with its well-curated selection of general interest reads accompanied by handwritten staff recommendations. The co-op director recently pled for members to buy more books as it ended its last fiscal year deep in the red. Keep the cultural institution alive: This year, join the co-op (it's easy), buy some books, and ask a friend to buy some too. Whether you're just learning how to properly hold a guitar pick or regularly booking gigs at local venues, the Old Town School of Folk Music's full-service music store, with locations in Lincoln Square and Lincoln Park, specializes in instruments and educational materials from all over the world for all levels of expertise. 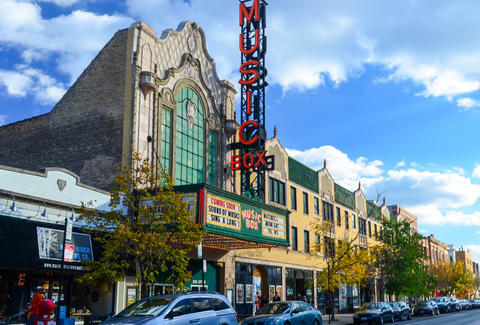 Proceeds from the two store locations support the school's non-profit mission of teaching and presenting a range of music, dance, art, and theater programs that reflect the cultural traditions of Chicago's vibrant and diverse communities. 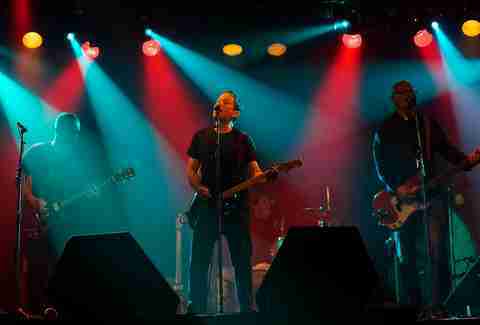 Double Door had a rough 2016, and the outlook for the music venue that's been a Wicker Park staple since 1994 is still hazy. For the past year, owners have been facing eviction as a court case drags on thanks to leasing disputes with the landlord, and the future site for Soul Summit remains unknown. There's hope for relocating to a stately limestone building (with two doors) in Logan Square, but for now we'll sweat it out on the dance floor as the battle continues. Nicole Bruce is a contributing writer for Thrillist. She likes her slices of pie with a side of social action, and hopes to learn how to build a table out of reclaimed wood when she has enough apartment space someday. Find her on Twitter at @nicoleabruce.